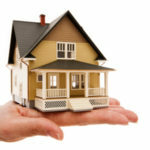 Good plumbing in a safe and healthy home is important to every homeowner. Problems with a home’s water system is always unexpected. 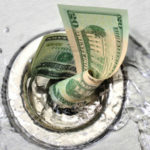 When money is not available or a professional plumber is too expensive, these plumbing tips will help any homeowner save money and maintain a safe plumbing infrastructure. In most cases of a water system leak the caulking or grout the water has accumulated on is damaged. Fortunately, replacement caulking and grout are fairly priced at local hardware stores and are applied with simple instruction. When removing old and damaged caulk or grout, ensure you remove and replace all damaged material; mold will continue to develop if parts of moisture-damaged sealants remain in the troubled area after the repair. Another common problem involving poor drainage or water system leaks is a build up of grout, lint, hair and other foreign material. 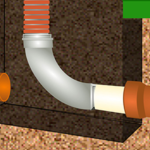 Pressure can build within the piping, causing the fixtures holding the pipe in place to shift. 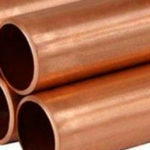 If a shifting of the pipe fixture occurs, damage to that entire water system line can mean big problems and big money to fix it. A simple step to prevent this is regular lint trap cleaning. Before a load of laundry is started in the dryer, ensure the lint trap has no tears or holes as a accumulation of lint will develop in the water system. Improper disposal of building supplies such as grout, caulk, paint, etc. can and will cause a dangerous build up of unwanted chemicals. Safety is the priority for parents and homeowners; make certain these kinds of waste products never pass through your home’s water system. Even with regular maintenance and careful inspection, poor drainage, low water pressure and leaks may occur. Wear and tear through regular use can cause any one of these problems. Some home-owning consumers will reach for abrasive cleaners for their fiberglass or porcelain bathtubs and sinks. The harsh chemicals in many of the products available today cause more damage to a water system then they resolve; not to mention, they are dangerous to handle and store with children in the home. A simple remedy for poor drainage is baking soda and vinegar. Poor some baking soda down the problematic drain and follow that with a cup of vinegar. Place a rag or washcloth over the drain to prevent an overflowing of white foam. Wait a few minutes while the natural chemicals react to each other and rinse with hot water. These are just a few of the simple, cost effective solutions every homeowner an practice to maintain a safe and healthy home.